China's State Owned Media Proclaims Petroyuan Will "Shake People's Confidence In The US Dollar"
Just days after initiating its 'petroyuan' futures contract, and hours after an unprecedented announcement that China will pay for oil in yuan, The Global Times, the unofficial mouthpiece of the Chinese government, printed a remarkable story from 'one of its editors' highlighting the 'petroyuan' and its potential to topple the US Dollar as global reserve currency. The Shanghai debut of China's first yuan-denominated crude futures trading market on Monday proved a great success, with major domestic and foreign traders displaying active interest. Total turnover amounted to 18.3 billion yuan ($2.9 billion) on the first trading day. The market's better-than-expected performance is believed to have significantly contributed to the recent strength of the yuan on global currency markets. As China largely depends on crude imports, price volatility in the commodity market is a major impediment. It launched the crude futures market to address the problem and also to gain more pricing power over the crucial commodity. An important move by Beijing to open up its financial sector, the new crude benchmark has garnered increasing attention, because it challenges the current dollar-dominated pricing scheme of crude oil markets - commonly known as the petrodollar system - which helps underpin the dollar's status as the major international reserve currency. Once the yuan-denominated crude futures market is established as a major oil benchmark with active trading volume and significant domestic and global investor participation, the acceptance of the Chinese yuan as a mode of global transaction will rise. Analysts expect sufficient demand for crude futures contracts from both industrial and financial clients, as they need a tool to manage risk and hedge against inflation. The market offers companies in the real economy a hedging tool that can better reflect market conditions in Asia. The evident enthusiasm for the new yuan-denominated crude contracts in the past few days will have pleased the Shanghai International Energy Exchange (INE) and China's regulators. They aim to establish a third global crude benchmark in the country. There is no reason why the INE contract should not take its place alongside the UK's Brent and the US' West Texas Intermediate (WTI). It is a far more useful marker for China and for the rest of the economically fast-growing Asia, given that the seven grades of crude accepted for delivery on the INE are heavier and more sour than the light grades that make up Brent and the WTI. Some have warned that the growing clout of China's currency in international financial markets could gradually erode the primacy of the US dollar. But at the current stage, nobody knows for sure what impact China's new benchmark will pose to the oil hegemony the dollar has held since the 1970s. With few exceptions, any country wishing to purchase oil must first obtain US dollars, creating a significant demand for the currency in international financial markets. As a result, the petrodollar mechanism has played a critical role in generating global confidence in the greenback, which has benefited the US economy a great deal. 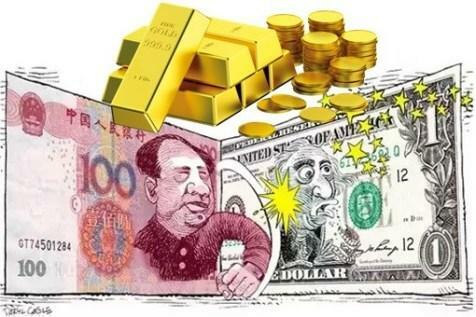 The widespread pricing and trading of crude oil in the yuan, or the "petroyuan," is likely to shake people's confidence in the US dollar, and theoretically back up the value of China's yuan in the global market place. One clear objective for China's regulators is to seek ways to internationalize its currency to boost its own economic prominence and reduce its longstanding reliance on the dollar. As the world's largest crude oil importer, China would naturally benefit from using its own currency over that of an economic rival and strategic competitor. At the same time, China's Belt and Road initiative, which seeks to create trade networks across the Eurasian continent, the Middle East and Africa, will almost certainly invigorate the yuan's march toward wider usage and the currency's globalization. However, the dollar will not cede its present dominance in oil markets any time soon. Instead, China is likely to build confidence in the yuan gradually, through steady measures of reform and opening-up, more robust economic growth, proactive foreign engagement and liberalization of its monetary policy.